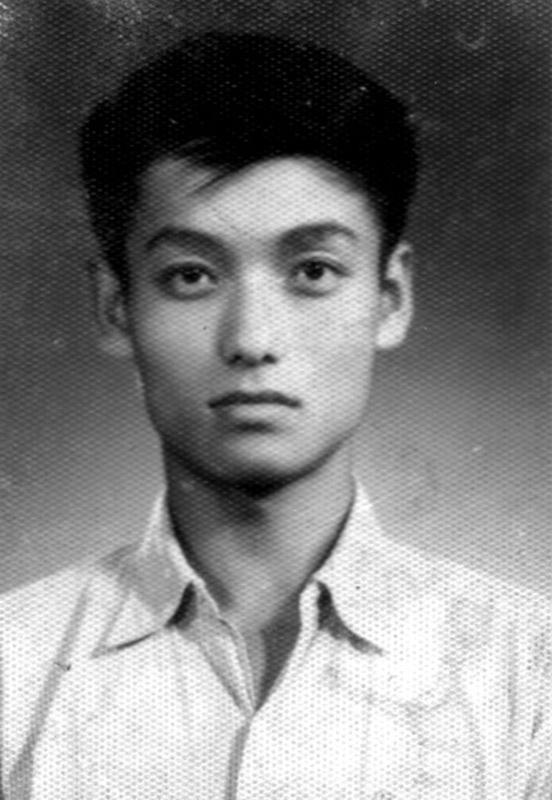 On a winter’s morning in 1936, Han Meilin was born in a scruffy old house on Huangqin Street in Jinan. Unfortunately, when he was just two years old, his father passed away. He was brought up by his mother and grandmother. Poverty and stress are tribulations that could overwhelm genius, but which can also sharpen one’s will. His far-sighted mother knew that only education could change her child’s fate. With hard work, she finally saved one silver dollar and sent 5-year-old Meilin to private school. This ignorant child gradually showed his artistic talent and eagerly studied calligraphy, seal carving and painting. 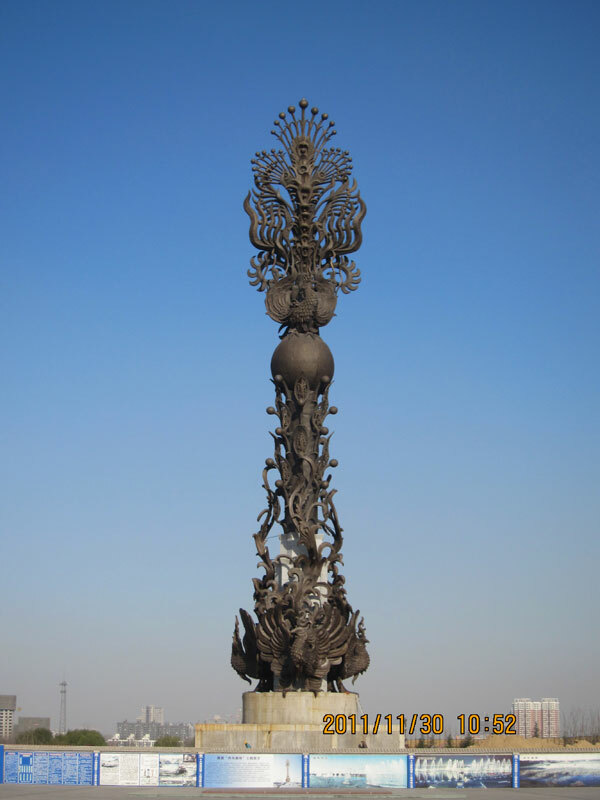 In August 1949, Jinan was liberated. 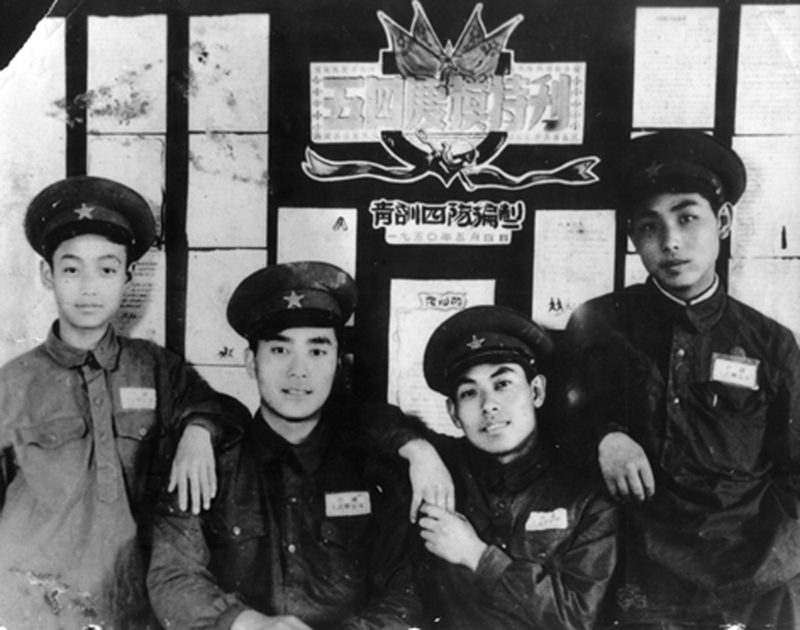 Thirteen-year-old Meilin joined the army as a signalman. With highly sensitive artistic force, this young man often went to study with the sculpture class. One year later, Meilin was transferred to the Jinan Repertory Theater. At fifteen, Meilin turned to tutoring. In that year, he published Basic Painting Skills and achieved many other successes in his art teaching and creation. 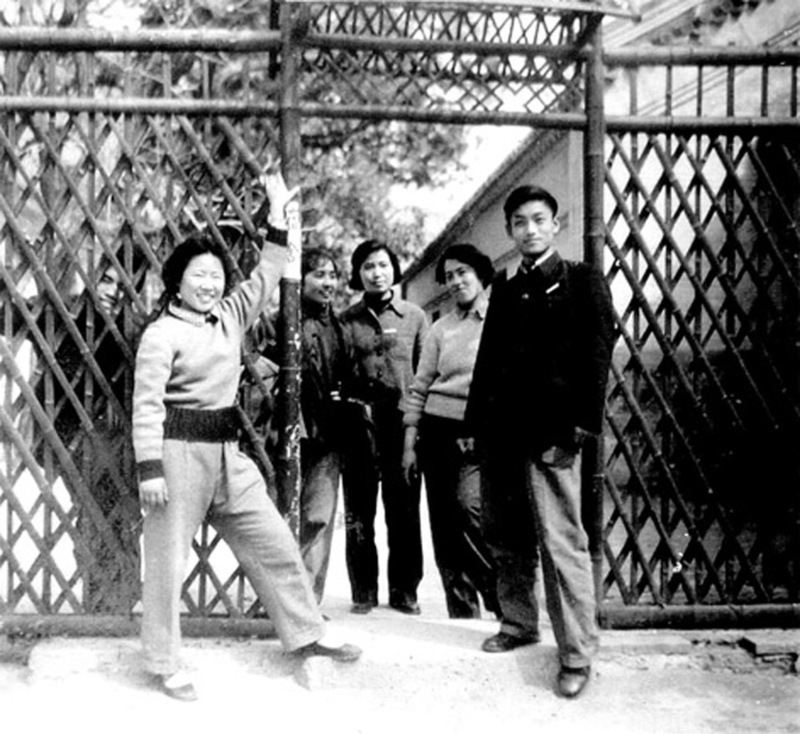 In 1955, Meilin, having studied in junior high school for only three months, was admitted to the Central Academy of Fine Arts. Due to fatigue, Meilin lost his sight for eight days after the examination. When he graduated in the summer of 1960, he was assigned to teach in his university because of his remarkable achievements in painting and design. 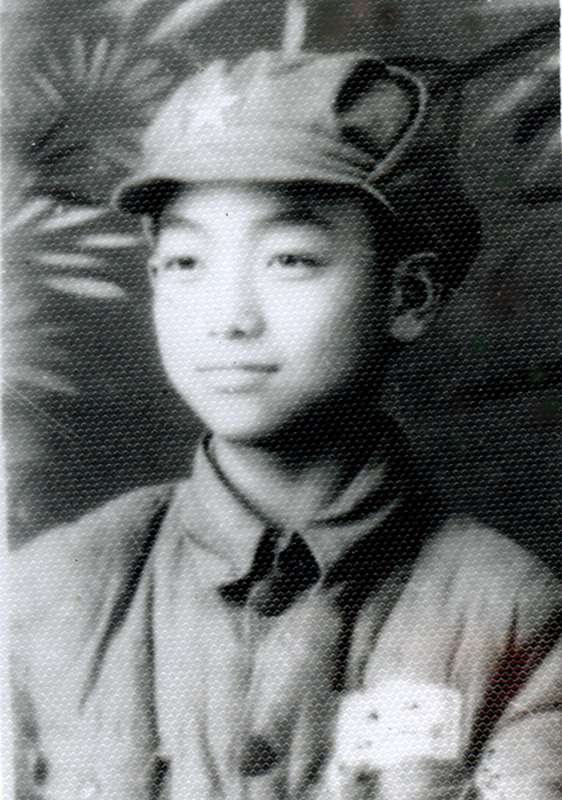 Han Meilin suffered a lot throughout his life. 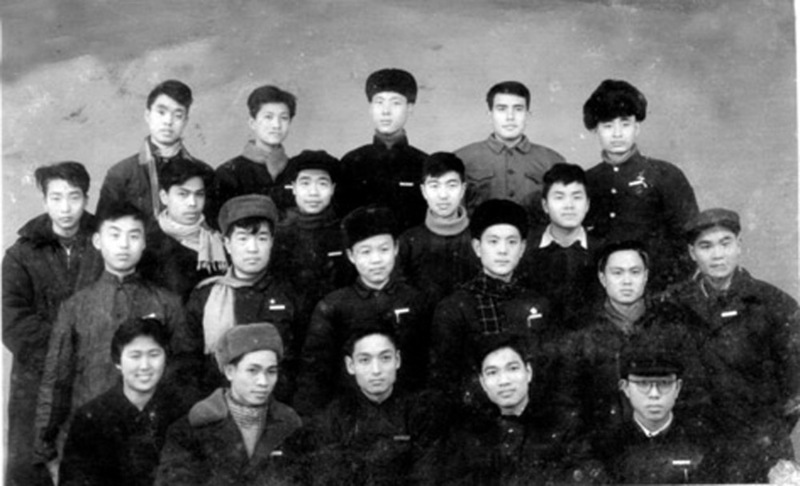 Having taught in the Central Academy of Fine Arts for three years, he was sent to help build the Anhui Academy of Fine Arts and then worked in the Anhui Light Industry Institute. 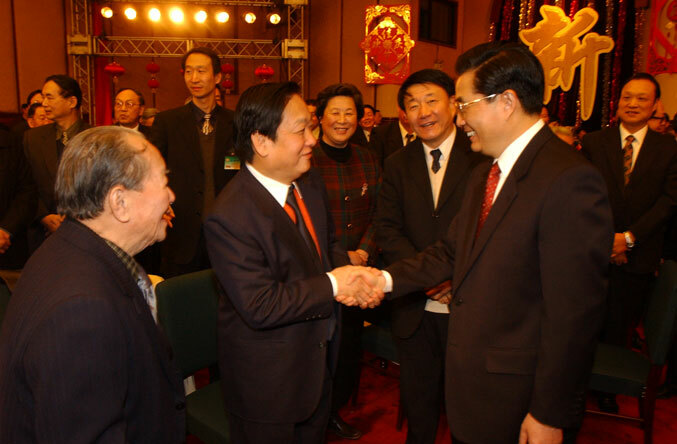 Once he encountered a former student in Shanghai, to his surprise, he was convicted of “Stealing military secrets to sell to foreign counties”. 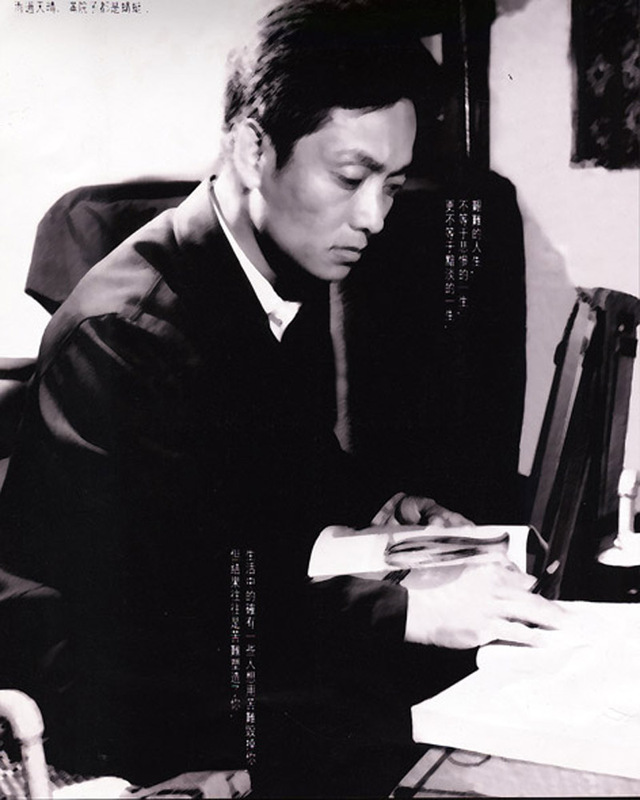 Because he had designed the cover for a famous dramatist Tian Han’s script Snow in Summer, and famous journalist Deng Tuo had wrote a poem for his painting, Han Meilin was labeled of “Counter-Revolutionary Revisionist” and “Three Village’s Accessory”. 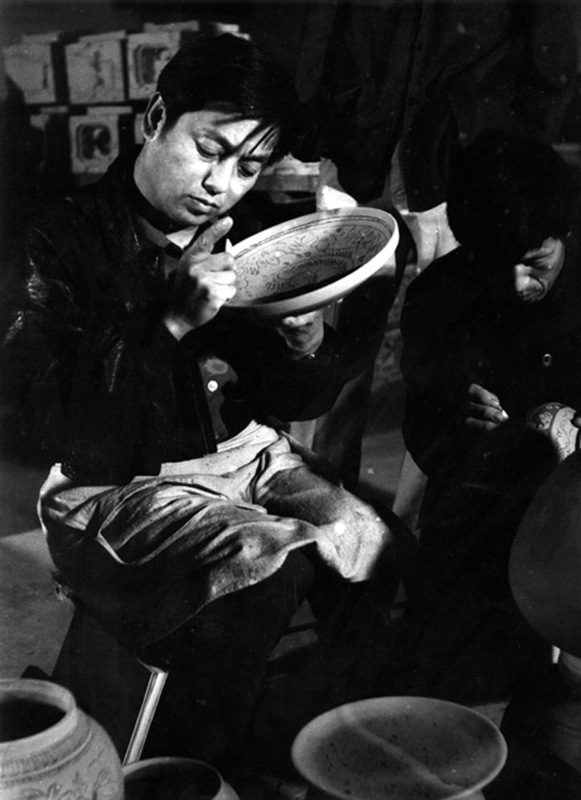 During the Cultural Revolution, Han was imprisoned for four years and seven months and suffered all kinds of tortures and humiliation. His feet bones were stomped on by mad guards and broken into over 40 pieces; his tesujis was cut an injury that still causes him difficulty. Though he has suffered mental and physical agonies, he still revels in his art world without regret. Like a saint facing the wall, he practiced asceticism and searched for salvation in the ocean of art. 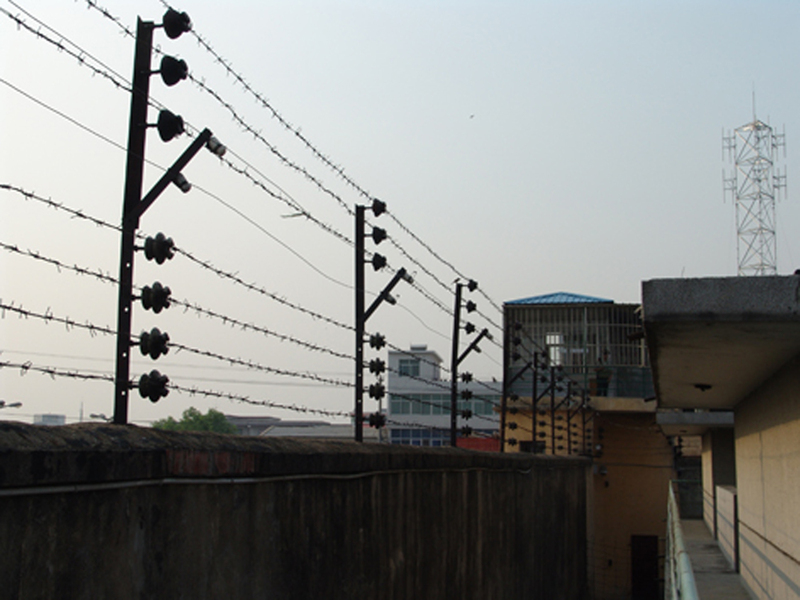 The imprisoned Han Meilin, changed his prison into his studio, establishing his own future artistic heaven. 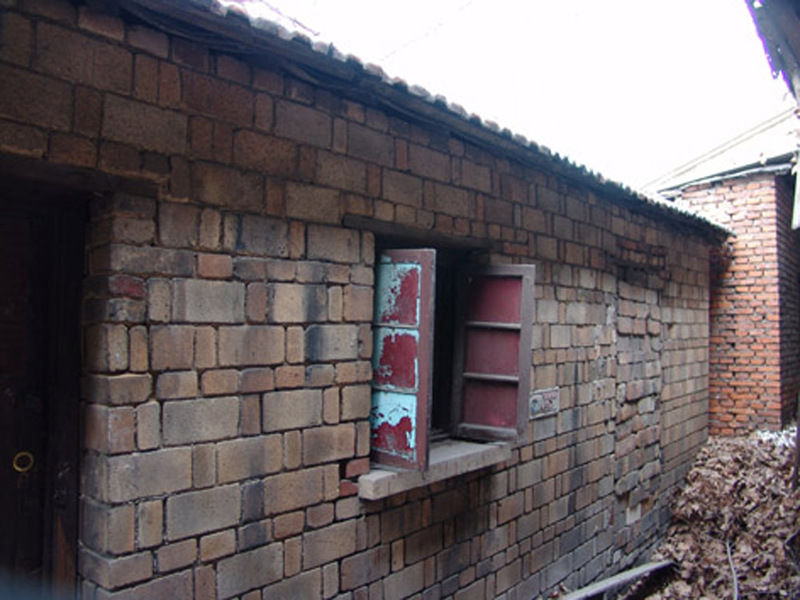 After release, he lived in a six-square-meter house which he named “Tong Zhai”. In this little room, Han Meilin began to turn into butterflies. 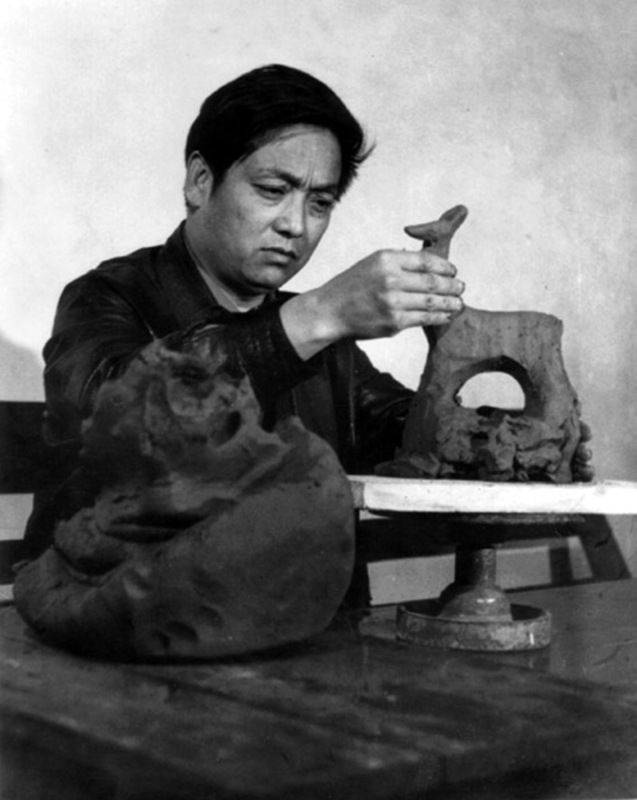 To most people’s surprise, there is no pessimism in Han Meilin’s work, even though he has suffered so much. His artist’s nature determines that he focuses on truth, good and beauty whenever he holds his brush. Han found emotional support from animals: His woolly and fluffy animal paintings integrated the effect of traditional ink and brush painting and modern watercolor painting. These cute and lovely paintings brought the long-lost warmth of art to the Chinese people who had experienced catastrophe. 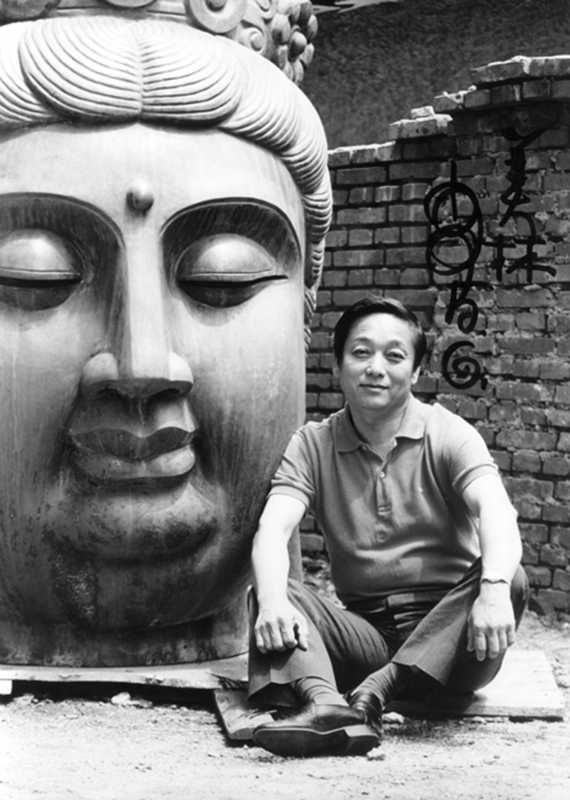 In 1980, Han held personal art exhibitions in Beijing, Hong Kong and 21 cities of the USA. 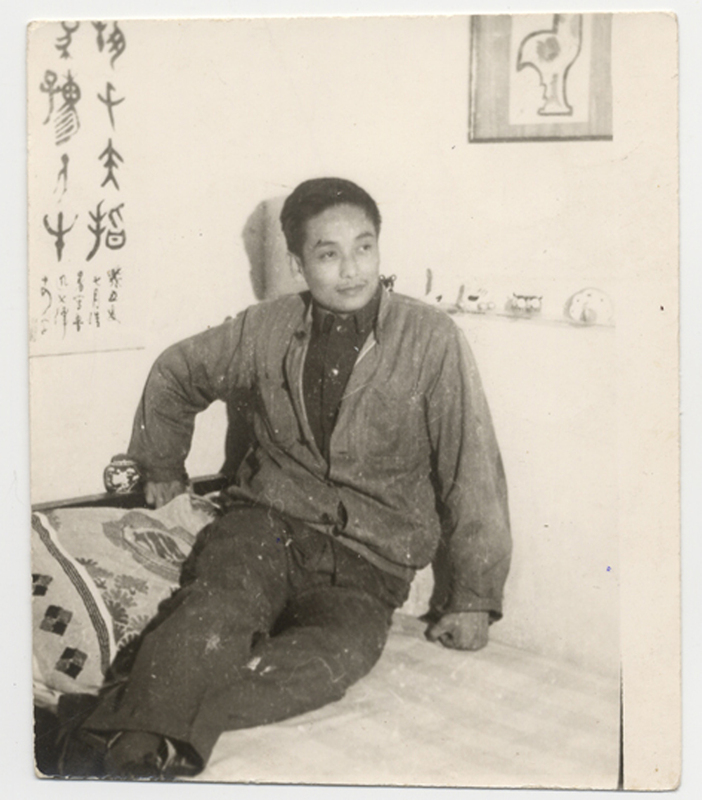 His humane pandas and monkeys were so popular that they became synonymous with Chinese culture. In Han’s art world, innovation and change are his eternal law. 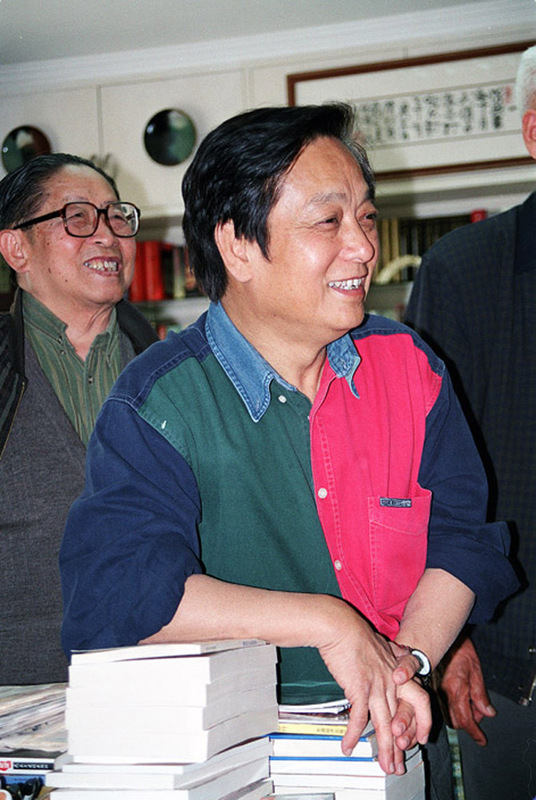 At the beginning of the 1980’s, Han began research in ceramics: From simple pottery and luxurious Jun porcelains to Yixing teapots whose techniques were almost lost. At the same time, he expanded his creation to stamps and logo designs. In 1983, he designed the first “Pig” stamp, which caused a sensation because of its simple and exaggerated folk art style. 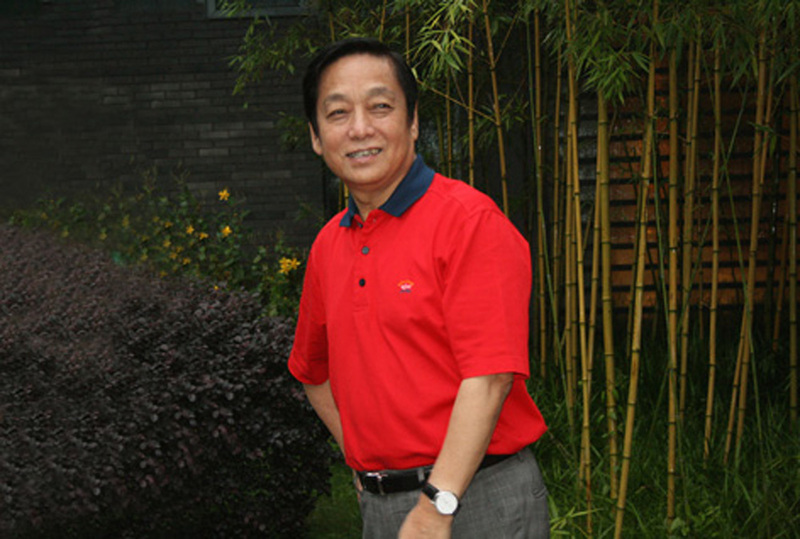 In 1988, he created Ari China’s red phoenix logo. 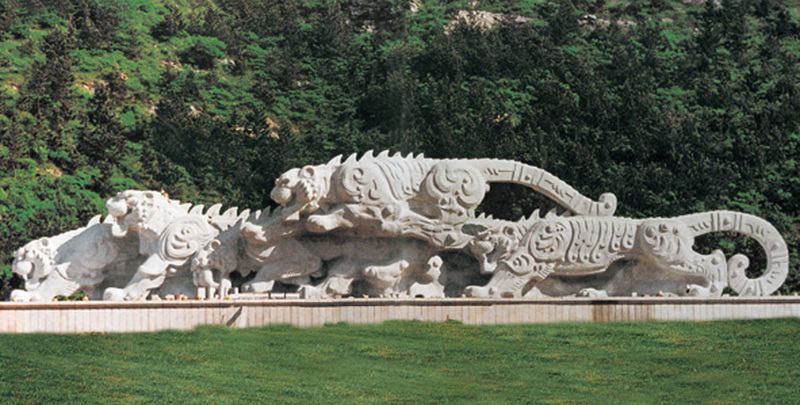 In the late 1980’s, Han entered the field of sculpture and created landmark sculptures for many cities. 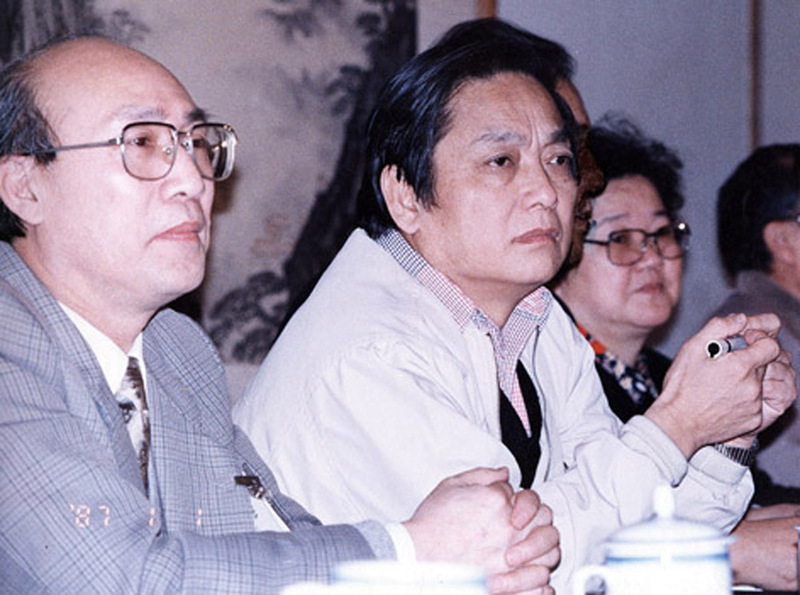 In 1989, Han Meilin Studio of the Chinese Artists’ Association was officially founded. 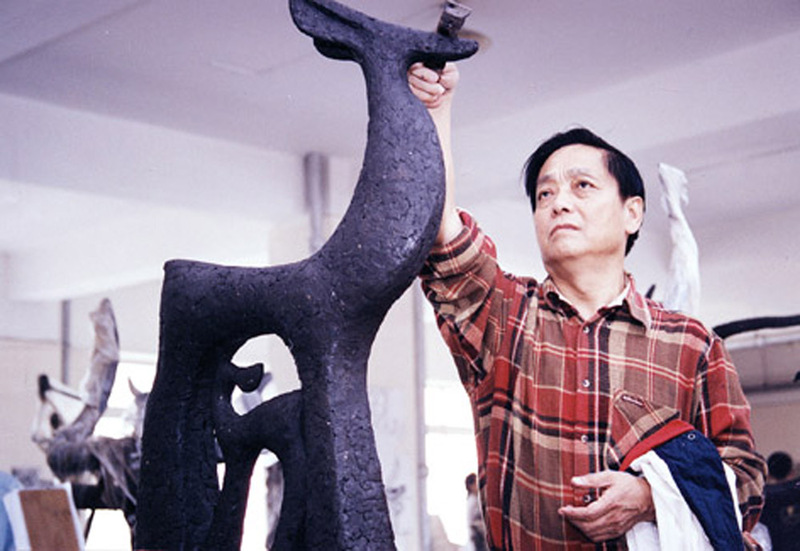 It is the only Chinese Artists’ Association studio named after an individual artist. 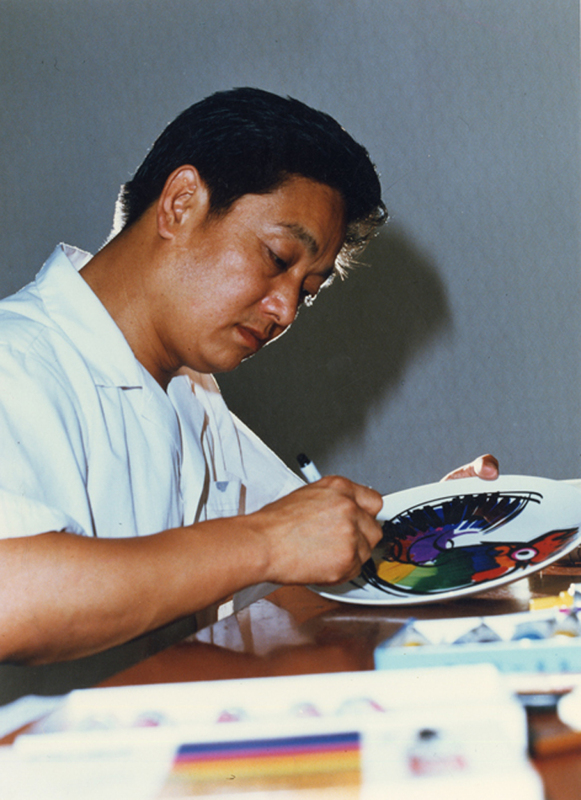 Since then, Han has continued the climb to higher peaks as an artist. 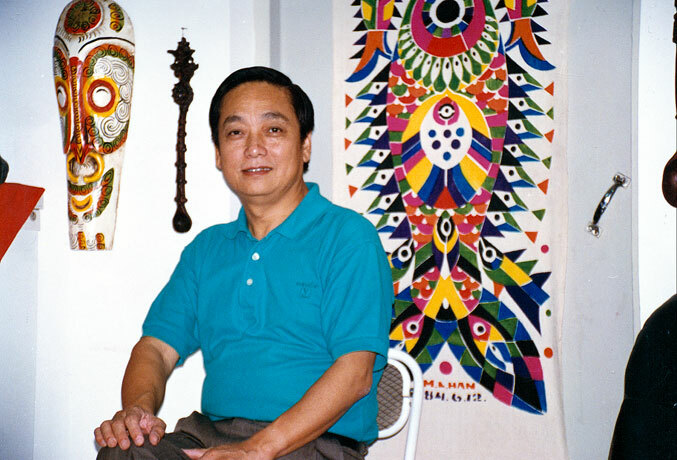 Han Meilin’s art is a portrayal of his personality. He has a magnanimous heart and his spirit is an inexhaustible source of art. He constantly continues to surpass himself. 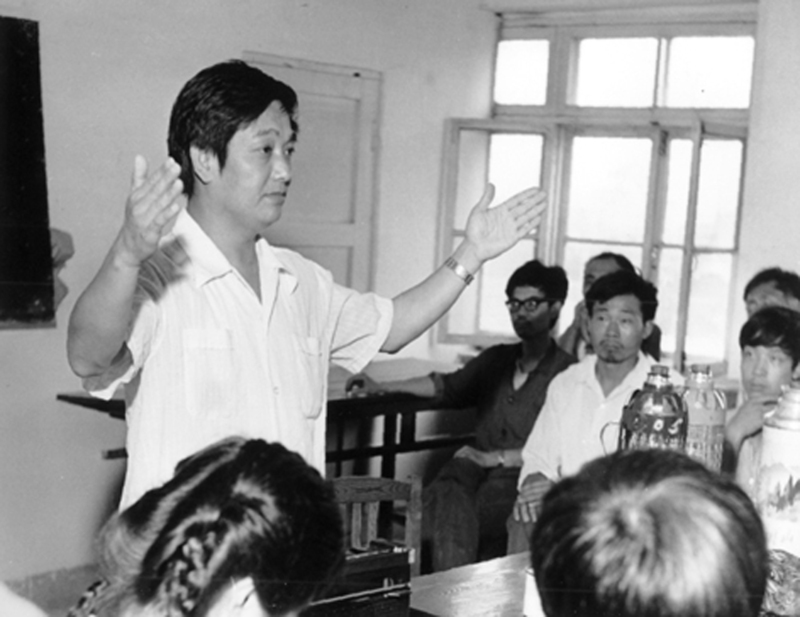 In the early 1980’s, Han began his literary career. 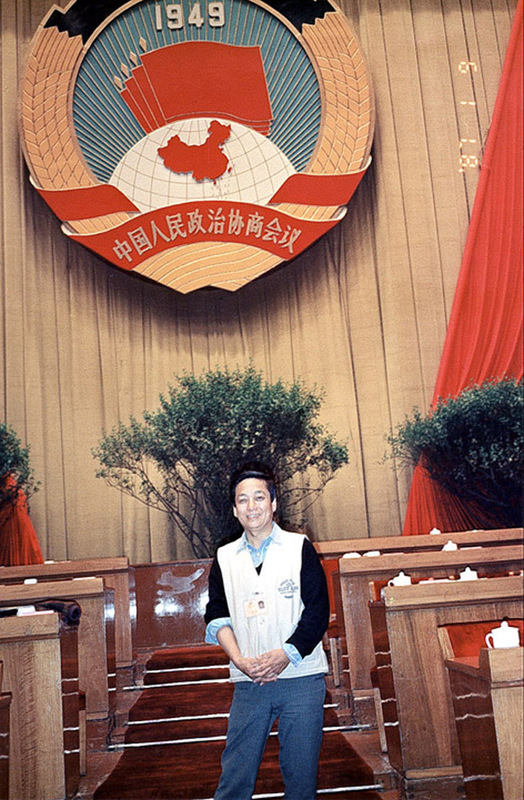 His essays Life is Beautiful, Retain the Beauty; Another Life Style and Beloved won prizes in national essay contests. 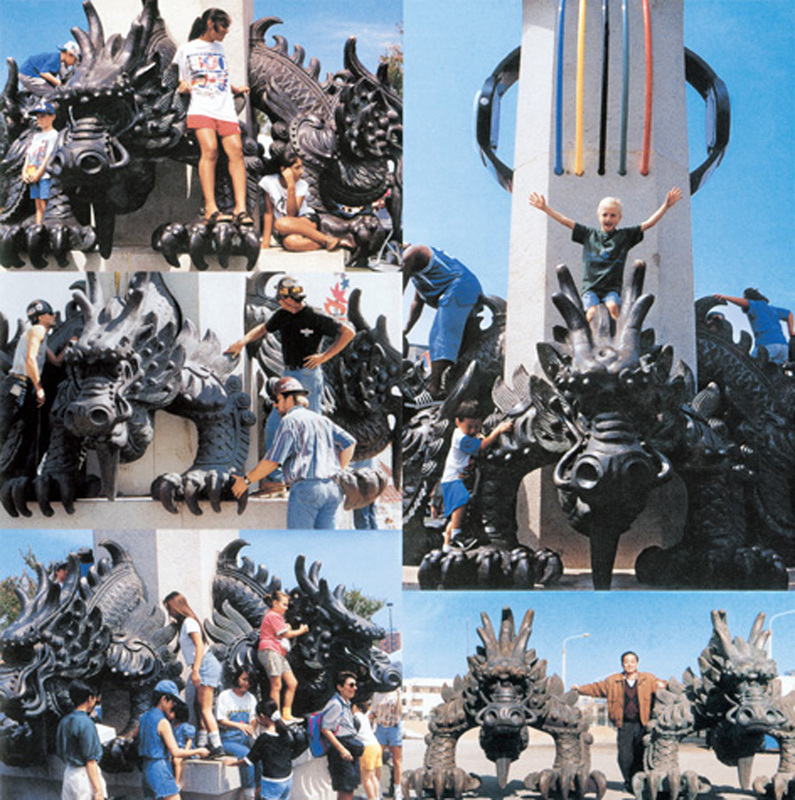 Meanwhile, his new large urban sculptures began to emerg In 1991, his urban sculpture A Group of Tigers was installed at Dalian’s Tiger Beach; in 1996, his bronze sculpture Five Dragons Clock Tower created for Atlanta Olympic Games won out over designs from 17 other countries’ and he became the first Chinese to install his own sculpture in the USA. 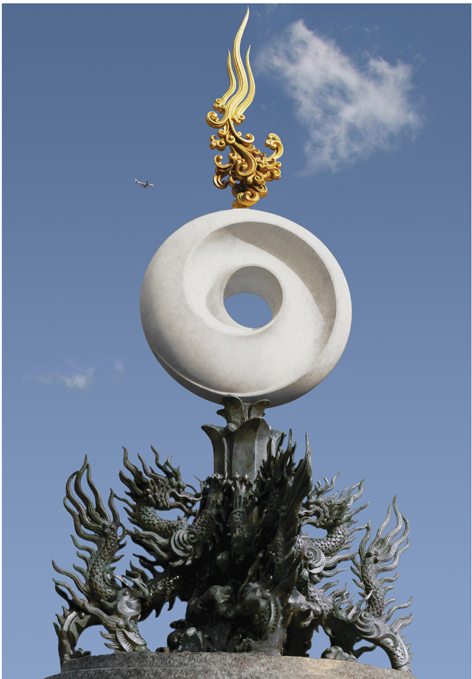 For Han, Five Dragons Clock Tower became the golden key to open the door of international culture and was the giant step bringing his into the field as an international master of art. 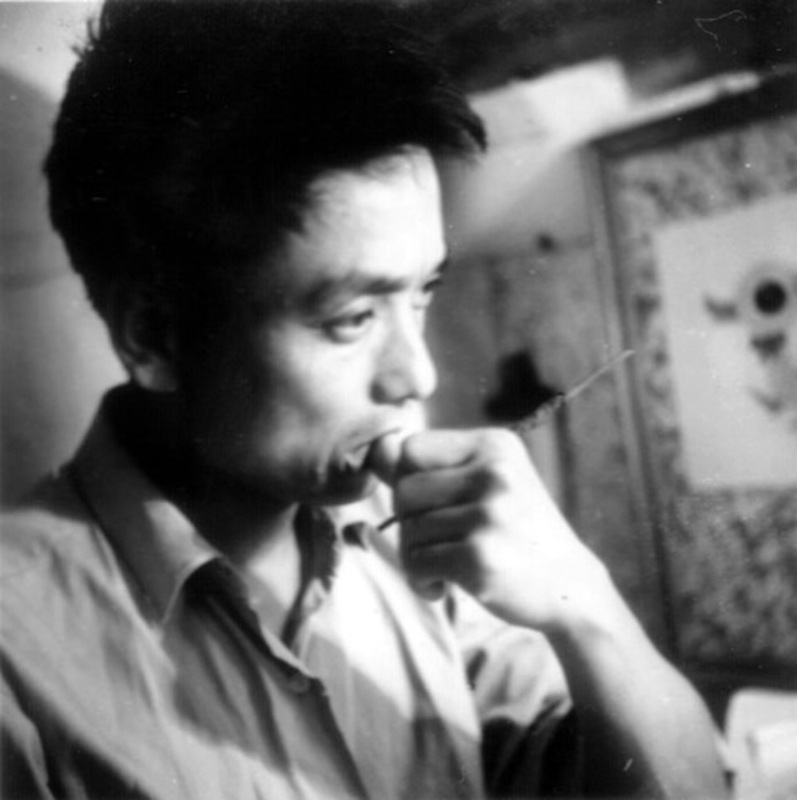 Han Meilin’s distinctive creativity and inexhaustible passion are often breathtaking. 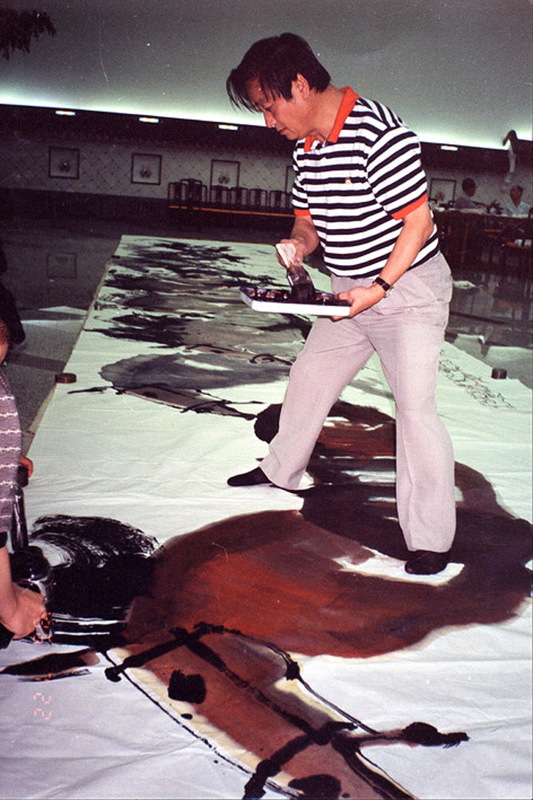 From 1979 to 2001, he held five personal exhibitions in the National Art Museum of China which displaying over 10,000 works of art. In 2006, Book from Heaven, on which spent 34 years collecting and researching, was published. 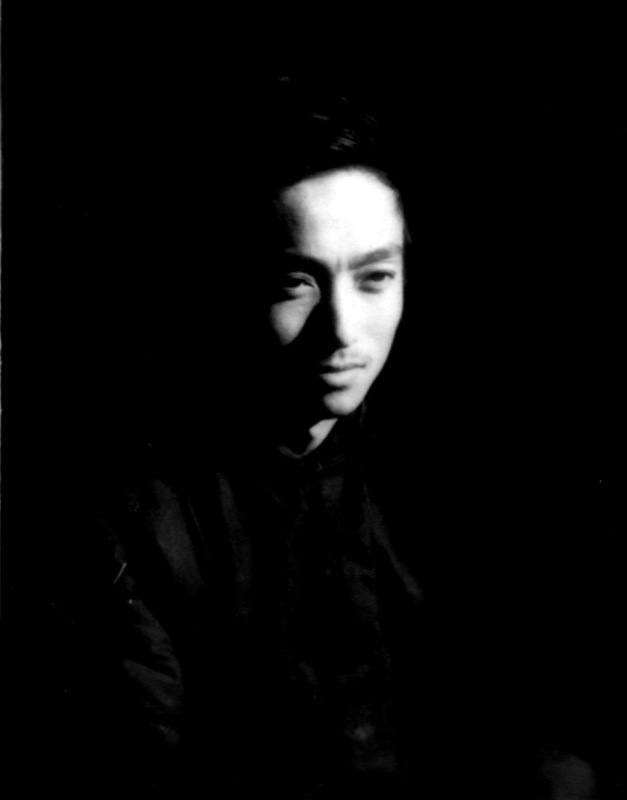 His visual style, made a unique interpretation of ancient Chinese characters. 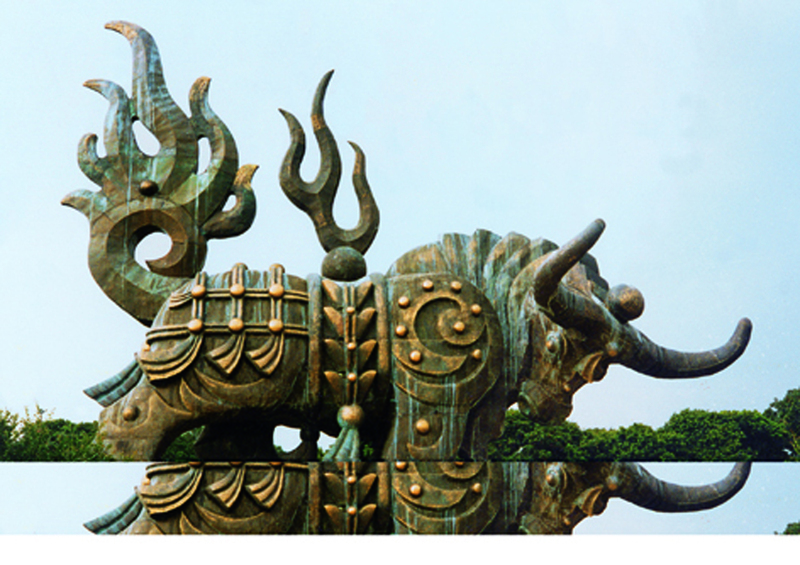 More than 10,000 ancient characters demonstrated Chinese ancestors’ extraordinary imagination and creativity. 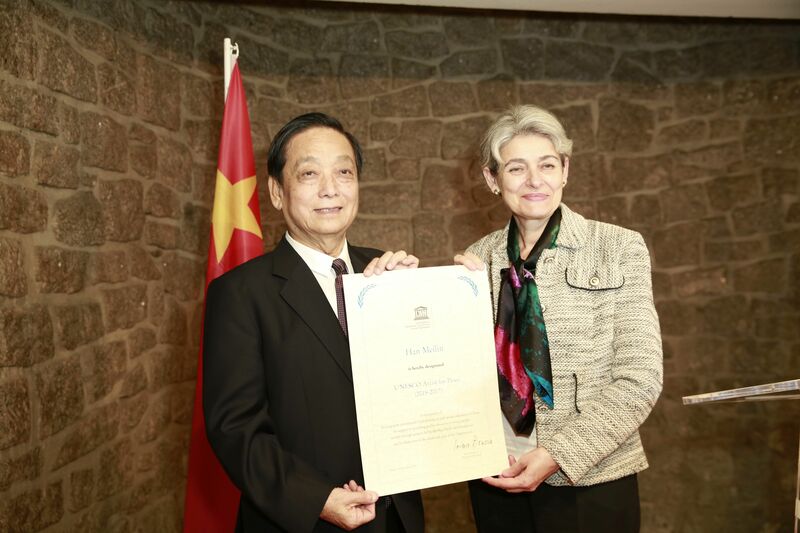 Since 2005 Han has donated thousands of his artworks to national and the local governments which have built Han Meilin Art Galleries in Hangzhou and Beijing. 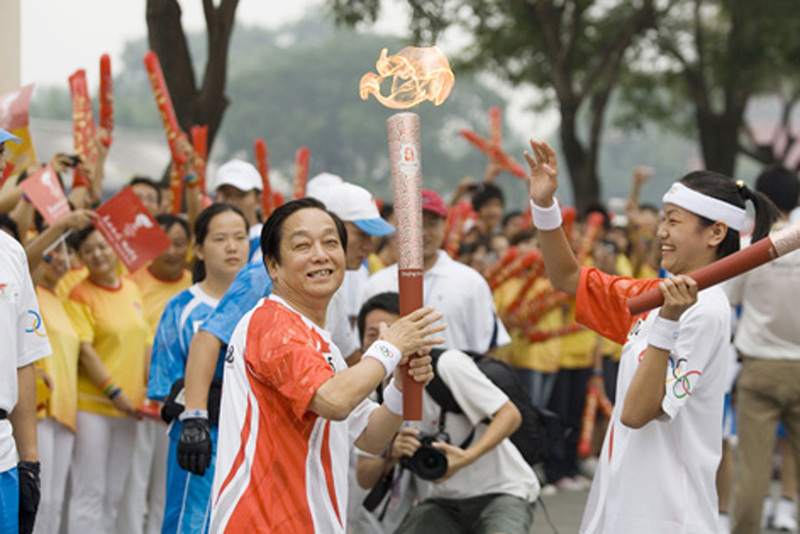 In 2008, as the general designer of the Beijing 2008 Olympic Bid logo and Beijing Olympic mascots, Han Meilin help put on for the world an Olympic Games with the most prolific cultural connotations. 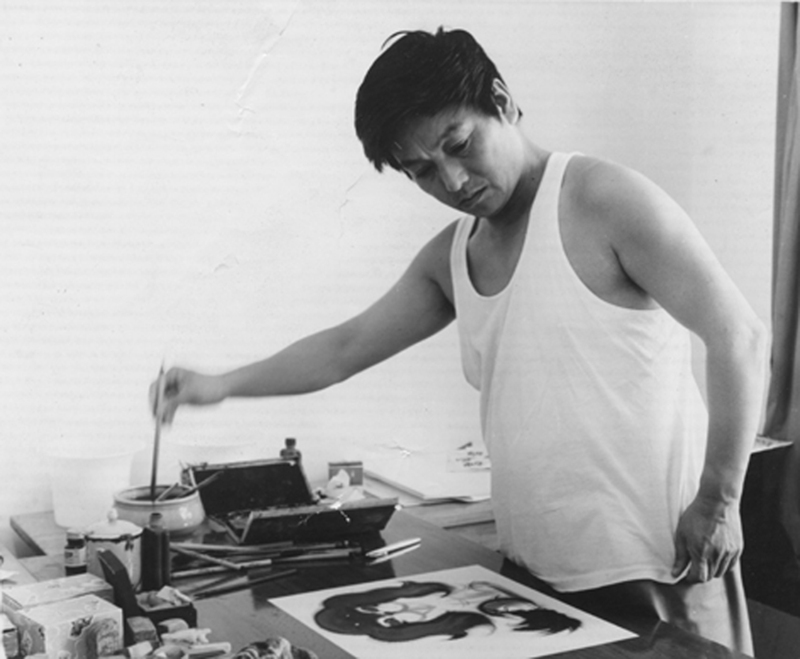 Han Meilin’s heart pulses with creativity. He said, “This is my golden age and my best work is yet to come!” He has many plans: Donate to the Hope Primary School Project to build more schools, publish Volume II of Book from Heaven, finish Collection of Chinese Ancient Characters, hold his sixth personal exhibition, install a sculpture in Las Vegas, build a Han Meilin Art Gallery at the foot of Helan Mountain and even in New York.